ACT FAST! Just 11 Rebates Remaining! Earn financial incentives when you switch your old wood stove to a cleaner, more efficient stove. The Washoe County Health District, Air Quality Management Division has partnered with the University of Nevada, Reno | Business Environmental Program to create a new program to help Washoe County homeowners located within the areas affected by the Keep It Clean Know the Code winter burn code regulations to move on to cleaner heat. Only available for existing wood stoves which are installed, functioning and non-EPA compliant, pre-1992 model (phase I and older). Participating retailers will assist in determining if your old stove qualifies. Residents must surrender their old wood burning stove to the stove installer, who will then properly dispose of it at a program approved recycling facility. Rebate program only offered through participating area dealers (see list below). $600 for a new wood burning stove; new pellet stove; or new natural gas stove. Additional dealer rebates may be available. Homeowner researches the program and believes they have an old stove they would like to replace. 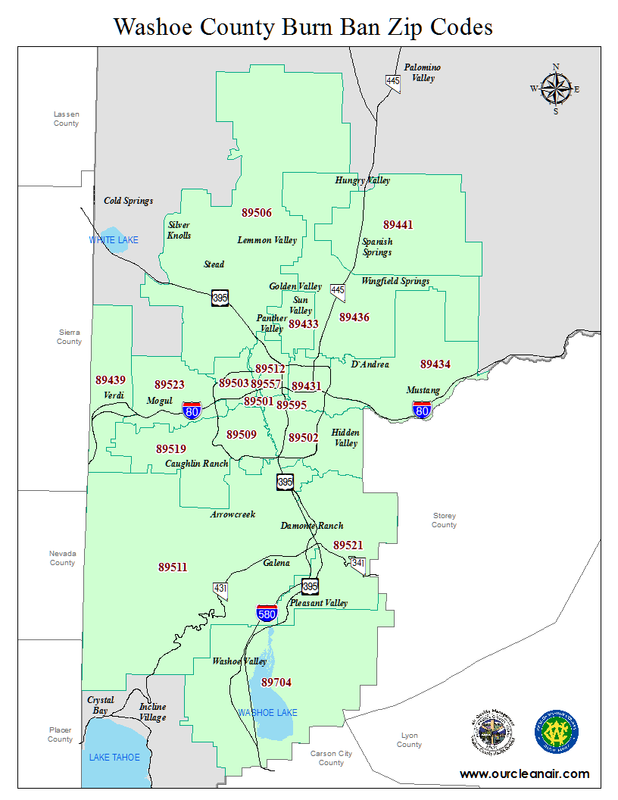 Map of the ZIP codes affected by the burn code. Homeowner goes to a Participating Stove Dealer and fills out or brings in a completed application. Homeowner agrees to replace old stove with new EPA-certified wood, pellet or gas stove. Stove dealer applies for instant rebate on line at www.unrbep.org. Dealer informs homeowner of approval and schedules a home visit. Stove dealer confirms old stove, estimates installation costs and schedules change-out date. During the change-out the dealer or licensed contractor removes old stove, installs new stove, and shows you the features of the new stove and starts the first fire. Dealer or licensed contractor recycles old stove and completes the paperwork. Dealer remains available for stove cleaning, maintenance, and questions. Homeowner begins the first of many warm winters with their new EPA certified stove! These rebate funds are available because of an agreement settling a legal action the U.S. Environmental Protection Agency took against a Utah-based company that sold products not meeting federal air pollution standards. Under the agreement, the firm provided funds to reduce particulate matter emissions over the next 30 years by at least 158 tons in the Washoe County nonattainment area. This material and program was produced and supported by a grant funded by the Emission Control Program of the Nevada Department of Motor Vehicles.